Here is a nice assortment of small, chunky little nuggets. 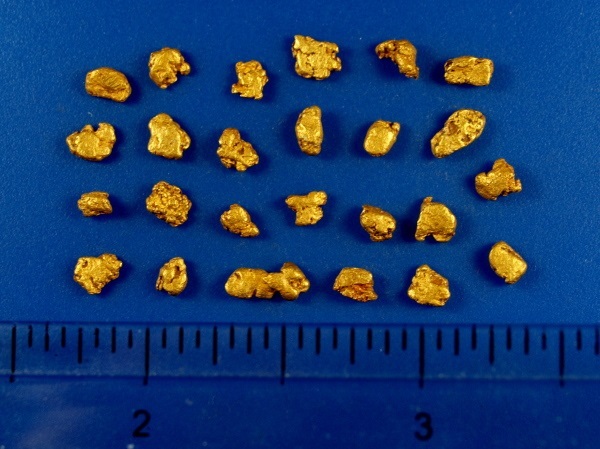 These come from a placer mine just outside of Fairbanks, Alaska. Their combined weight is 4.50 grams.